This is a rather strange situation, launched in 2004, which just happens to be the same year as the UK Contingency Act became a real ‘Act’ for the corporate state, we find the Home Office went live with the Oracle Financial System. Then consider the fact this allowed the controllers of the Oracle system a full four years of banking control before the 2008 financial crash, I say it is essential we give the Home Office Oracle program a bit of publicity. Oracle member Jeffrey E. Epstein. — cash management (the module which reconciles cash transactions in the Home Office books to bank statements produced by Paymaster General). The cash management team, who had participated in the design, build and implementation of the cash management module, were trained in its day to day operation and were responsible for the operation and were responsible for the operation and reconciliation of the module from May 2004. During 2004-05 the bank account in the General Ledge would have processed around one million transactions. The Home Office has a facility with National Westminster Bank to provide a local banking facility to Home Office functions which need to bank receipts (e.g. receipts associated with asylum processes such as Leave to Remain fees) or provide a local petty cash facility to remote offices. There are two umbrella accounts which during the course of 2004-05 had up to 47 sub accounts which operate overnight sweeping arrangements and an automatic transfer to combined balances over £40,000 into the main Home Office Paymaster General Account. The NAO report refers to this in paragraph 19. In 2004-05 there was no process or review process in place to ensure that reconciliation of the Natwest accounts were completed on a monthly basis. Home Office sponsored agencies and NDPBs have their own bank accounts which are outside of these arrangements and were not affected by the Home Office problems. The business rationale for Adelphi arose from the need to replace outdated legacy systems for finance and human resources (HR); and to introduce a central system to support procurement. The most effective way to do this was considered to be a class of business solution known as an Enterprise Resource Planning (ERP) system. The Oracle eBusiness suite was selected as best meeting Home Office business requirements. The Adelphi system was developed for the Home Office by the Sirius consortium including Fujitsu Services (lead contractor) and IBM Consulting (business advice services), under the IT 2000 PFI contract which also includes general provision of Home Office IT and telecoms. The proposal was subject to robust commercial negotiation, including a benchmarking study by the Gartner Group. The resulting programme was subject to an OGC Gateway 3 review (investment decision) before agreement was signed in May 2003, envisaging that the solution would be delivered to the Home Office ready for use from 1 April 2004. Then of course there is the far more sinister possibility to consider…quotas for prisoners, means quotas for arrest and prosecution…I ask then, at what point does common sense common law enter into the arena of corporate prison and rehabilitation? It doers not, the corporate deals with people as assets under corporate statutes. As the above address suggests in Olympus House we have here yet another group of corporations which make up the Adelphi Group of Companies. What I found very revealing was the press release about the history of Adelphi manufacturing. In 1947 Adelphi Manufacturing was founded by Peter Holroyd off of The Strand in London and has since moved location to its current site in Haywards Heath, West Sussex. Over the years Adelphi has grown organically and through acquisition to create Adelphi Coldstream and Adelphi Tubes (Est.1970) and most recently Adelphi Masterfil. Adelphi Tubes was established to meet the growing demand of existing Adelphi customers for primary packaging. Initially Adelphi Tubes stocked and marketed ampoules, vials and collapsible aluminium tubes but has since significantly developed and expanded its product range to satisfy the market need for high quality pharmaceutical primary packaging and delivery systems. Not surprising of course that the John Adam Street Gang have a big interest in the ‘health’ of the world…they are making a fortune, and if they can finally get their mass pandemic and mass vaccination off the ground….ker-ching all day. There is yet another twist in the tale so far, possibly one of many to come…. have a guess what other Windsor connected network utilises the Oracle System? Note the odd use of the capital second letter, something one comes across a lot when dealing with Adelphi House information, it is also found in lots of pseudo-charity documents, we feel this has significance as a code to present from whom the document comes, and it surely fits with The John Adam Street complex’s use of the written word. ADelphi is the computer program that runs the membership system for all English Freemasonry at Freemasons’ Hall. It is a very significant program developed upon Oracle, the world’s leading database software. 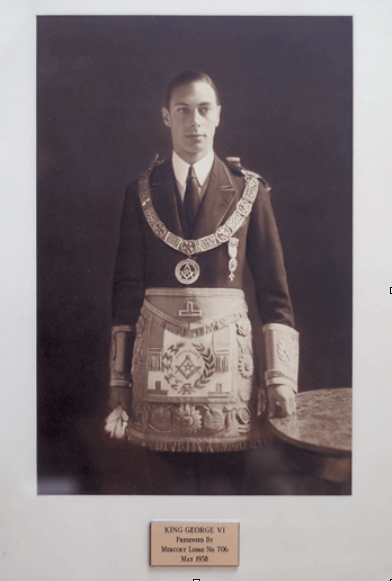 The United Grand Lodge of England (UGLE) system was called ADelphi after the Greek word for Brother and also, because it is a process to obtain information, it is a play on words of the Greek consultation of the Oracle at Delphi. A programme of development funded by UGLE is now currently underway in conjunction with the Provinces, to extend the basic ADelphi program, which started primarily as a project just for the needs of Freemasons’ Hall, into a system for the benefit of all the Provinces and the membership as a whole. This exciting new system is to be called Provincial ADelphi. 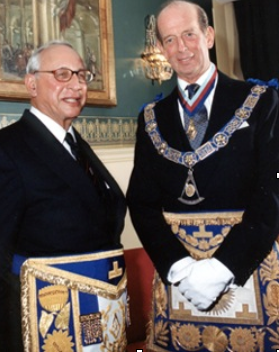 Provincial ADelphi will be of major benefit, as it is likely in time to become the main system by which most Provinces communicate with Masons in their Provincial area, and by which these Provincial offices connect with the Freemasons Hall database. As Masons become increasingly contactable through their use of the internet, their Provincial offices will be able to arrange membership renewal, subscriptions, meetings, Visiting officers and even seating plans through Provincial ADelphi. The Annual and Installation Returns will be processed through this route, as will letters to Masons about Provincial matters. Soon the Masonic Year Book for each Province will be produced electronically, and then it may be possible for any Mason to quickly access the up-to-date information directly on the internet. The potential for saving a great amount of time, especially in Provincial offices, and the consequent likely cost-saving is a significant benefit of introducing the system countrywide. This whole process has been designed to be a collaborative programme in conjunction with the Provinces. Before any development work took place, the Director of Operations at UGLE and key members of the IT Team visited Provinces across the country to explain what was happening and ask them what features they wanted. A series of workshops with many more Provinces then took place at Freemasons’ Hall to identify precisely the type of specification that was required for the system. A Project Plan was created and approved by the Board of General Purposes. A set of three specially selected Provinces: Hertfordshire, Surrey and Somerset, were contacted and agreed to be ‘Pilot Provinces to test out the developments as they were created, and agree a standard approach on behalf of every Province. Of course in the Oracle System, we are speaking of the cyberspace environment, and of course lifeinthemix has placed the control of Internet2 firmly in the hands of the John Adam Street Gang, via many means, all directed through the hands of the Intelligence Gestapo at regional level, but through such operations as Linux and the overall security operation named; ‘Shibboleth‘, which comes from within the RSA, The John Adam Street Gang have full and complete control of these systems. To the left of Adelphi House (not from the riverside), we find York House, very fitting when one includes the York Rite.